Mycorrhizal Colonization and Soil Parameters Affected by Foliar Endophytes in Jatropha curcas L.
Considering that rhizospheric microorganisms play a critical role in providing the plant nutrients for growth and in the adaptation of plants to ecosystems, the aim of the present study was to evaluate the association between foliar endophytes and their effect on soil and rhizospheric fungi using Jatropha curcas, a promising crop for high-quality biofuel, as a model plant. We conducted a factorial experiment. Endophytes and selected rhizospheric fungi were isolated and identified, and the colonization of mycorrhizal fungi was recorded. While the most interesting result was the significant increase in mycorrhizal colonization when J. curcas was associated with endophytes, it was also evident that this association is able to modulate some soil chemical parameters. 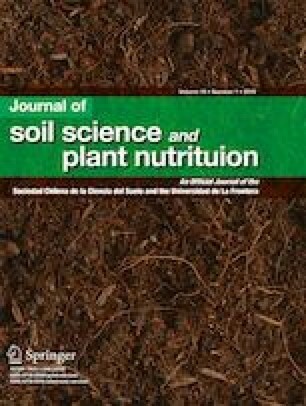 This study suggests that the association between J. curcas and endophytes has an impact on specific root symbiotic fungi that usually plays relevant roles in nutrient availability for plants, and it would provide tools to enhance plant growth and oil yields. The online version of this article ( https://doi.org/10.1007/s42729-019-00033-y) contains supplementary material, which is available to authorized users. We thank Diego Wassner for providing the seeds, Viviana Barrera for providing some of the reagents for the selective media, and Esteban Español for his help and recommendations for molecular studies. This study was financially supported by the Consejo Nacional de Investigaciones Científicas y Técnicas [PIP 11220110100846] and UBACyT [20020150100067BA], Argentina.